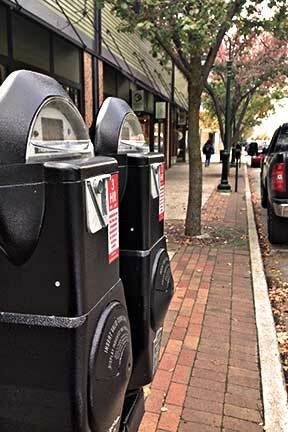 Parking meters are enforceable Monday through Saturday, 8 AM to 6 PM with exception to holidays (New Year's Day, Memorial Day, 4th of July, Labor Day, Veterans Day, Thanksgiving Day, and Christmas Day). $1.00 per hour at 30 minute, 1, 2, 3, and 4 hour meters. $0.80 per hour at meters greater than 4 hours and less than 8 hours. $0.60 per hour at meters 8 hours and greater. Your first 30 minutes of parking are free at most 3 hour meters or less with the silver button. Overnight Parking is allowed on the ground level free of charge 6 PM-8 AM. 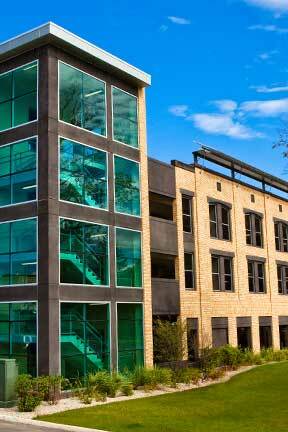 Need to reserve a metered space? Click here to review the Meter Bag Policy. 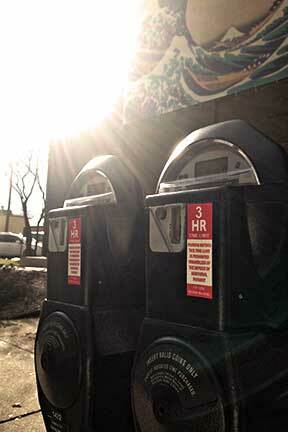 Whether you are hosting an event or performing construction in the downtown area or at Munson, bagging a meter is the best way to ensure that you are able to park at a desired location for a set period of time. Please allow up to 48 hours to process your request. Request made the morning of, may not be granted until the afternoon. If you notice a meter is not working properly or has been harmed, please report it.